Come 2011, and you will not only have to change the year old calendar, but also the way you invest in mutual funds. Yes, SEBI and AMFI have come up with a new set of KYC (Know Your Client) norms for all mutual fund investors in association with CVL ( CDSL Ventures Ltd.) . 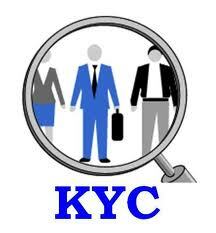 KYC is not a new term for all those who have bank accounts and demat accounts. They must be very well aware of the requirement of submitting copies of PAN card, ID proof, address proof and photographs at the time of opening these accounts. For investing in mutual funds, KYC norms were required to be fulfilled only for investments or additional purchases of Rs. 50,000 or above, but from 1st January, 2011 onwards, all investors will have to adhere to the KYC norms irrespective of the amount of investment. It implies that even for starting an SIP of as small as Rs. 500 , the investor must be KYCied (KYC complied). So if you are planning to invest some money in an ELSS or to start an SIP in the coming year, then get yourself KYCied by following the following step by step procedure. 1. Download the KYC Application form from here and take a printout of the same along with the instructions sheet (Download : KYC Application Form). 2. Read the instructions carefully and complete the KYC Application form by providing the details with respect to your name, date of birth, address, PAN etc. 3. Paste a recent passport size colour photograph and sign across it. Also sign in the signature block provided at the bottom right corner of the form. 4. Attach a self attested copy of your PAN card and address proof (like passport, driving license). Make sure that the details provided by you in the KYC application form are exactly the same as given in the photocopies of the enclosed proofs. Also, do carry the originals with you so that the photocopies can be verified. 6. The POS will verify the above copies against the original documents and issue a KYC acknowledgement to you, free of cost. This KYC Acknowledgement letter will contain your Name, PAN and the fact that you have complied to all the required KYC norms. An investor can verify his KYC status by logging on to www.cvlindia.com and entering his PAN there. It may take upto 10 days for the status to get verified and for the database to get updated. Once KYCied, you will simply have to attach a copy of the KYC Acknowledgement letter at the time of making any new or additional purchase of units, after January 1st, 2011. You will not have to attach all the proofs everytime you make an investment. Also, the KYC Acknowledgement letter will have to be provided only once to a particular Fund house. For any subsequent purchases from the same Fund House, even this letter will not have to be attached. Post January 1st, 2011, an investor who is not KYC complied will not be able to make any investment in any of the mutual fund schemes. In future, if there is any change in address or contact details, a KYC change form can be filled up and submitted at the POS, thus doing away with the requirement of intimating the change to each Fund House separately. So you see, that its not very difficult to get your self KYCied, provided you manage to locate the POS and the POS is willing to provide you the services. If you have anything to ask about the new KYC norms, feel free to do so. Also, if you are a KYC compliant investor, please share your experience here. Your feedback and comments would be highly appreciated. 3 Respones to "New KYC norms for all Mutual fund Investors"